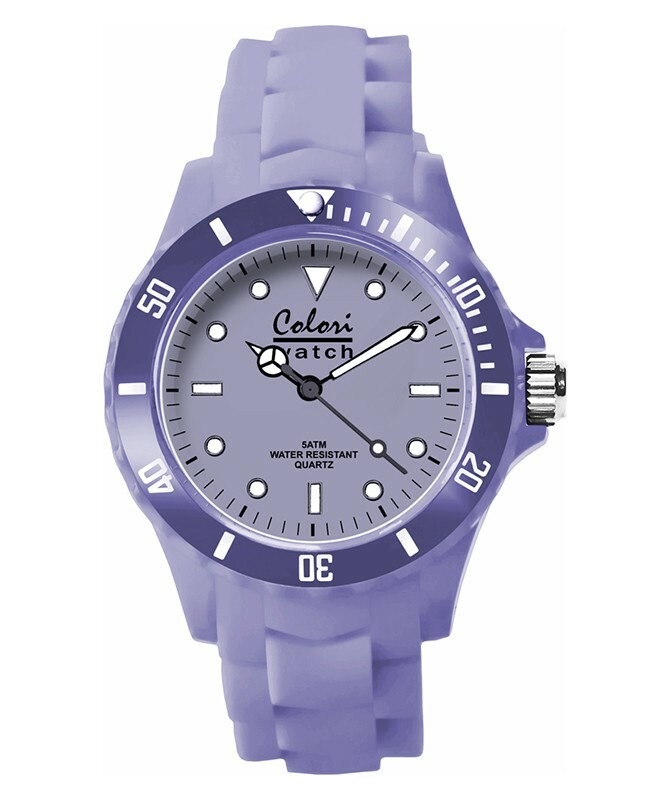 The Colori Classic Chic Watch has a cool and trendy appearance. Dimensionally the watch has a 40mm Polyamide case that feels lightweight and comfortable to wear on a daily basis. 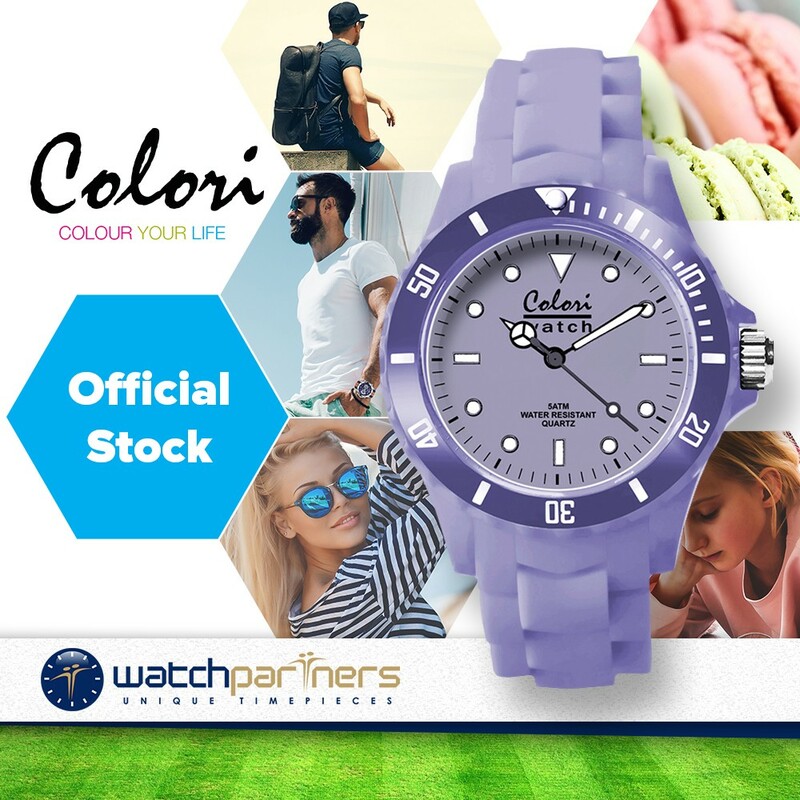 Distinctive features include a rotating Pastel purple colour bezel, luminous dial, mineral glass and Pastel purple silicon strap. Beneath the vibrant exterior lies a Miyota quartz movement.